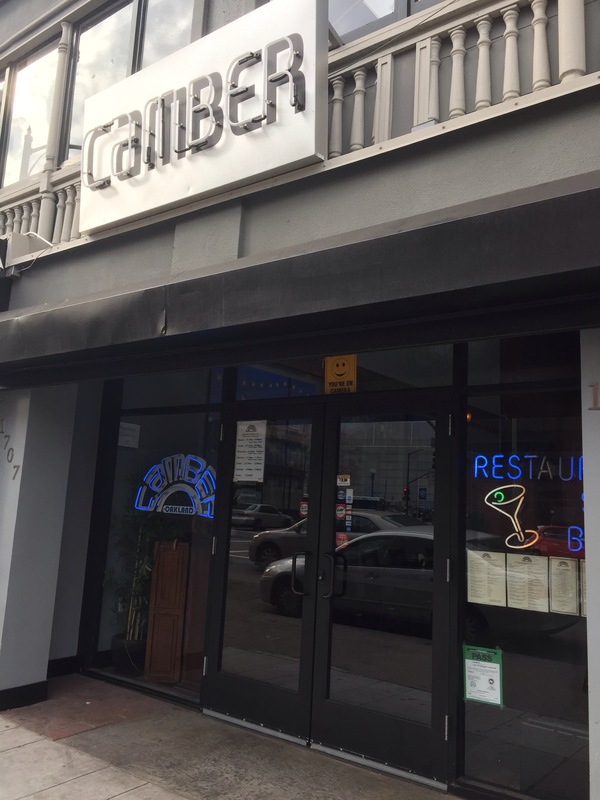 Camber in Uptown Oakland is a cool hip restaurant serving delicious South East Asian food. It’s located close to where I work and I can’t believe I didn’t learn about it until recently since it’s been around for about two years. The owners are Irfan, who is part Burmese and part Pakistani and Linda who is Mein. 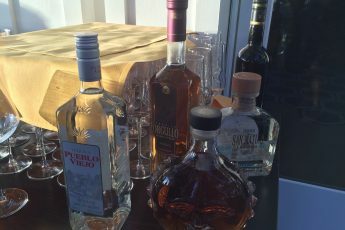 Together this couple bring food with a mix of exotic flavors. My coworker and I went to check it out last week at lunch. We decided on sharing a few items. We ended up ordering a variety of appetizers since I am back on Weight Watchers and didn’t want to eat too many carbohydrates. The first salad we got was the Tea Leaf Salad which was on their Specials board. 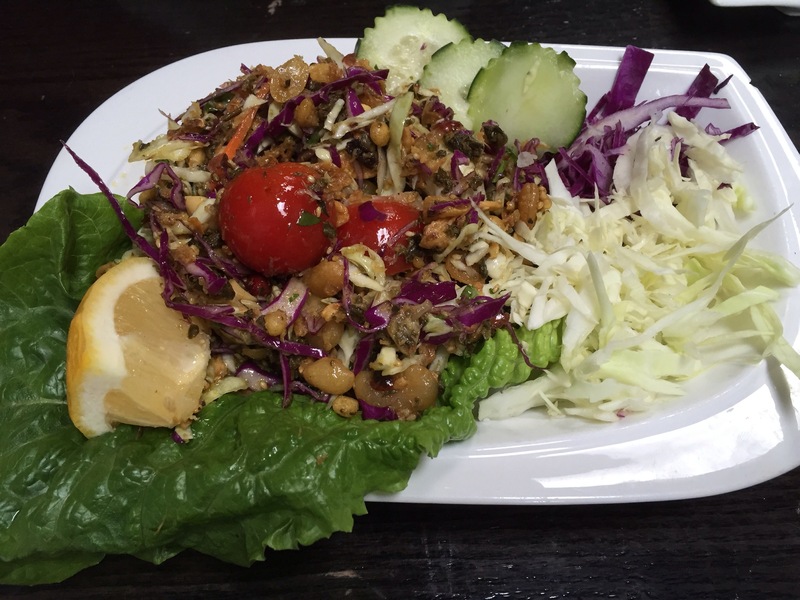 The Tea Leaf Salad is a Burmese dish made with fermented tea leaves, dried ground shrimp, cabbage, mixed nuts, onions, garlic, and cilantro. The salad had bold and diverse flavors and a nice crunchy texture mainly brought on from the nuts. It didn’t have the beautiful presentation where you get to mix all the ingredients, but it was just as tasty. 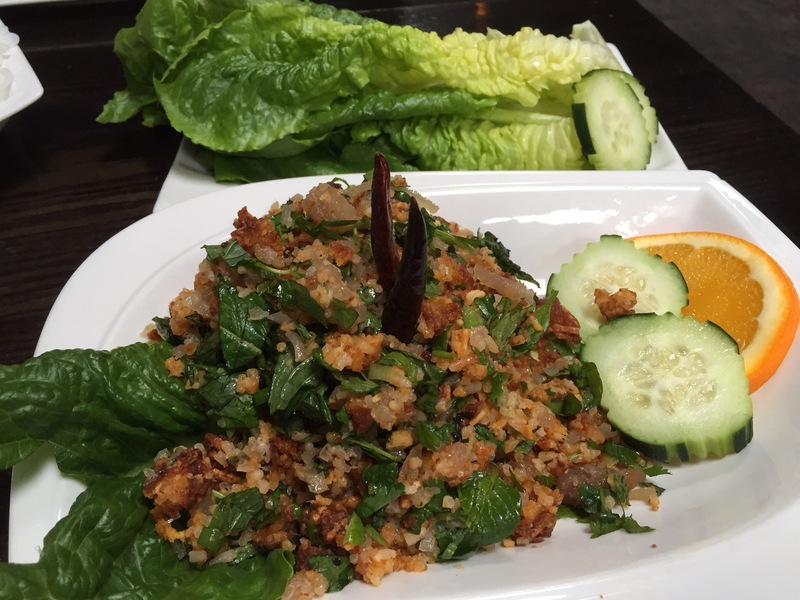 The Rice Ball Salad or the Nam Kaow is a Laotian dish made of shredded cured pork tossed with fried rice patties, cilantro, mint, green onion, fish sauce, and fresh lime juice. You wrap the filling in lettuce leaves with a piece of dried chili pepper. I love the textures in this dish and it always makes me happy to eat it. The Camber version doesn’t disappoint. The Papaya Salad can be prepared Thai style or Laotian style. My coworker wanted the Laotian Style Salad which was a first for me. 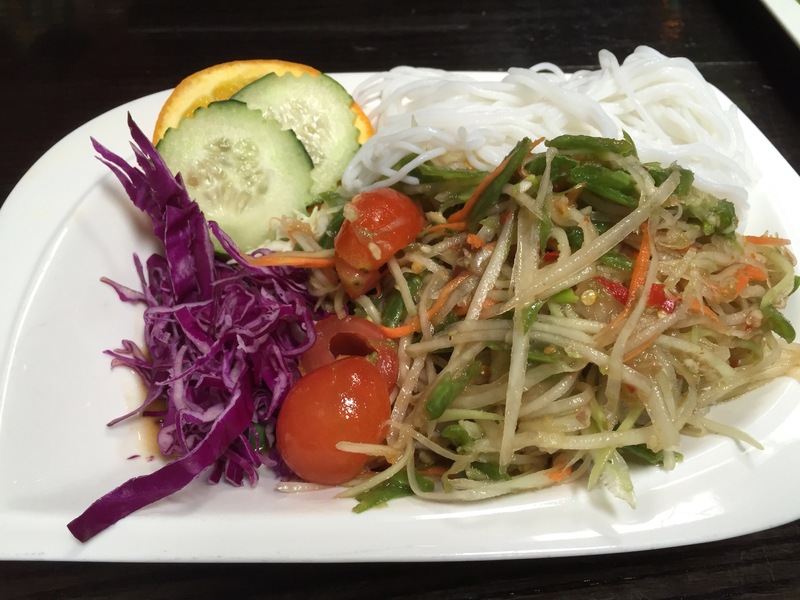 Crisp green papaya is tossed with tomatoes, garlic, fish sauce, and green beans and served with a side of lettuce, and vermicelli noodles. I consider my coworker the expert in Papaya Salad. She pointed out that long beans are normally used, but she still very much enjoyed this dish, especially the spiciness. 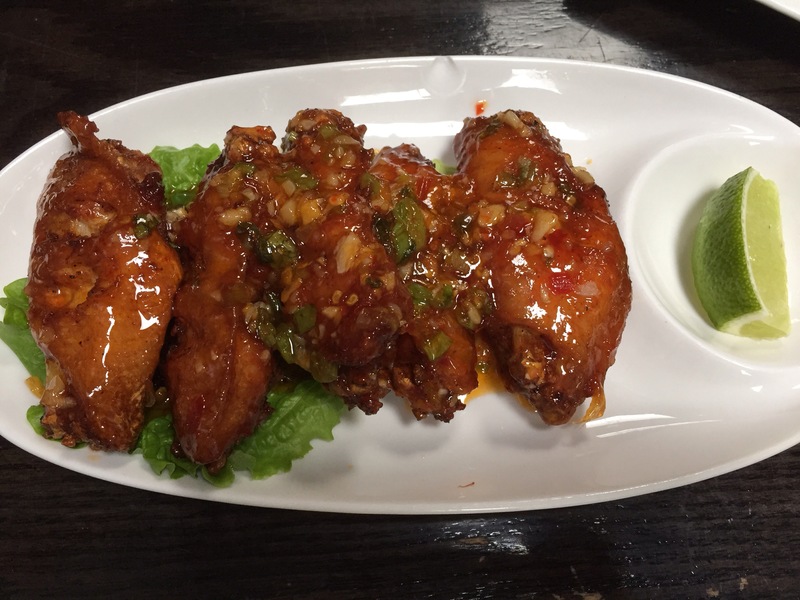 The Angel Wings are crispy fried chicken wings that are tossed in a sweet and sour sauce. These were finger licking good, both crispy and juicy. I do love my chicken wings. My coworker and I started planning our next visit where we’ll move on to entrees and invite more people. The owner Irfan recommended that next time we should try the Eggplant Basil, the Ginger Chicken, and the Bouncing Beef. 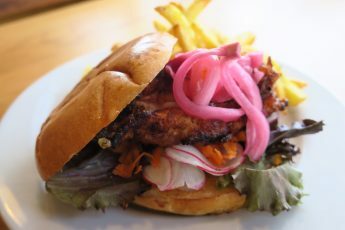 Camber opened a second location a few months ago in the Montclair district which is close to where I live. Whether I’m at work or home, I’m lucky to have a Camber close to me. Yee-Haw, Good Food in Texas!